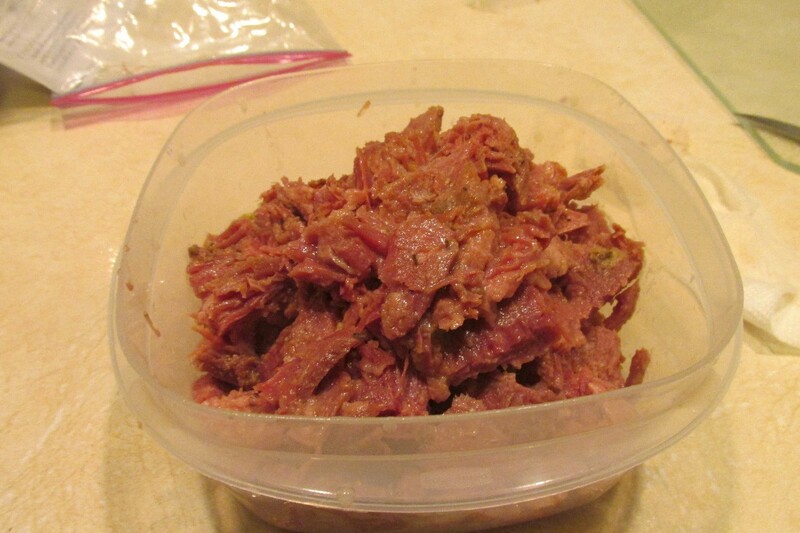 From the corned beef dinner on Saint Patrick's Day, I froze 3 baggies of sliced meat. I also had two containers of the water I boiled everything in, thinking it would make great soup stock. Well, it did! 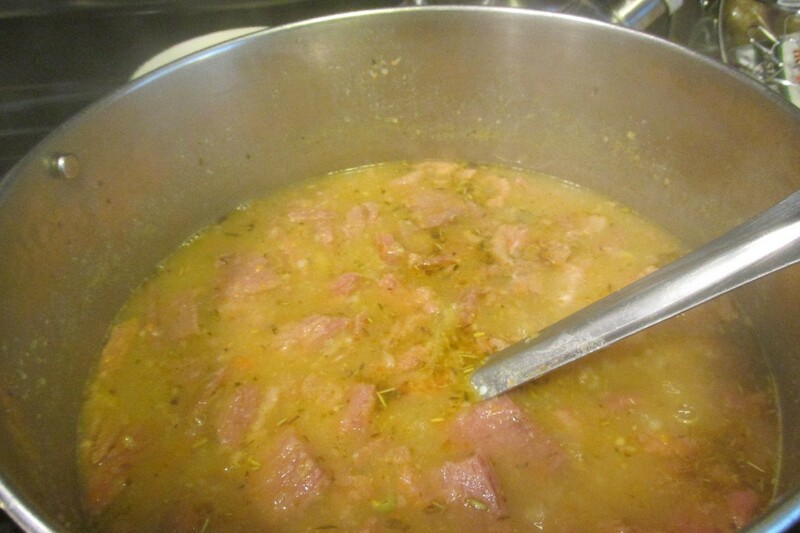 I made the other day, a green split pea soup from using the stock and cutting up small cubes of corned beef. It came out so delicious and so different. A better flavor! 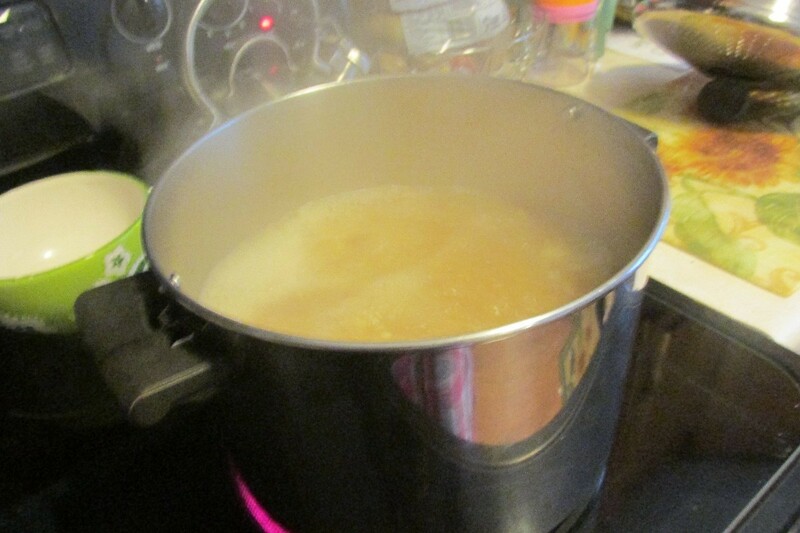 Using a large soup pot, add the thawed soup stock. 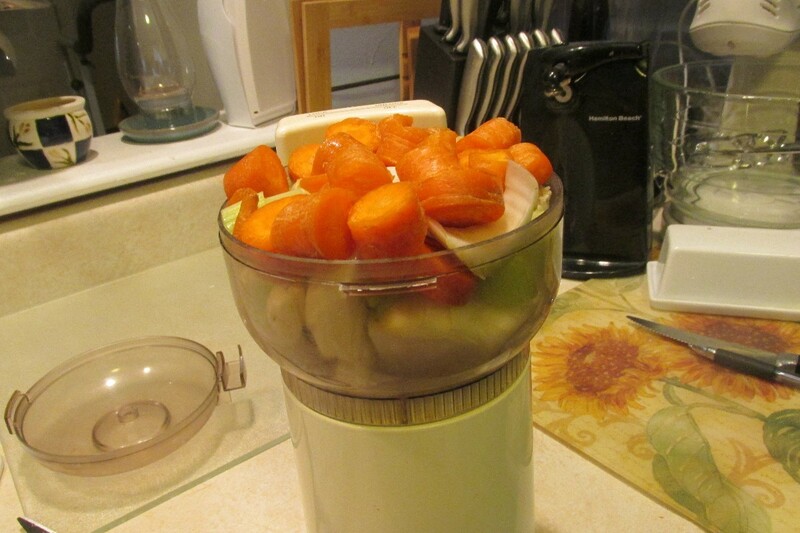 Add enough water or chicken broth to make 6 quarts. Add all minced vegetables and split peas. Bring to a rapid boil, and then reduce heat to a simmer. 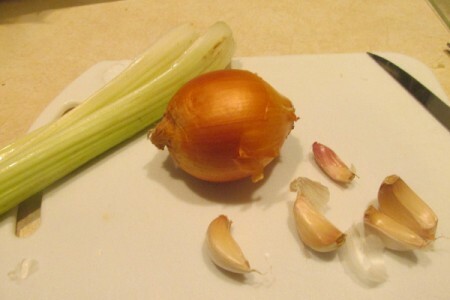 Add all your spices and meat. 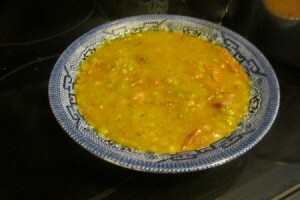 Let this simmer for about 3-4 hours, stirring quite often. 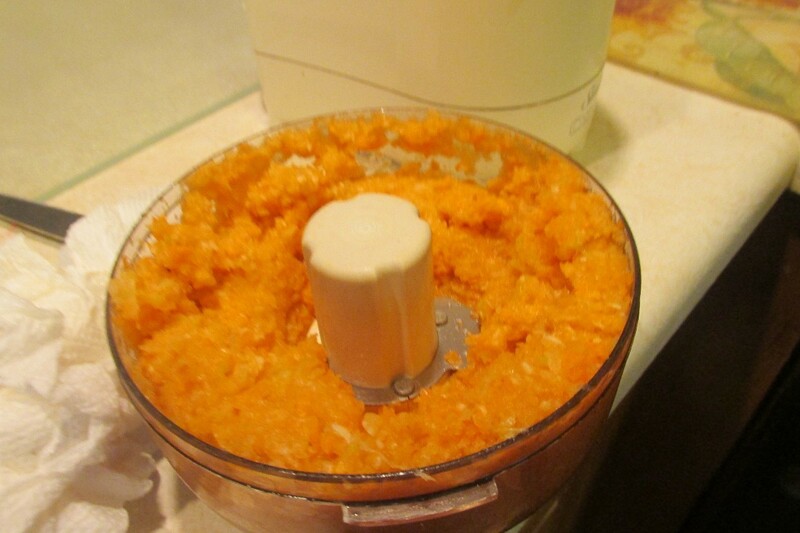 Do a test taste after the first hour, make adjustments to spices if needed. 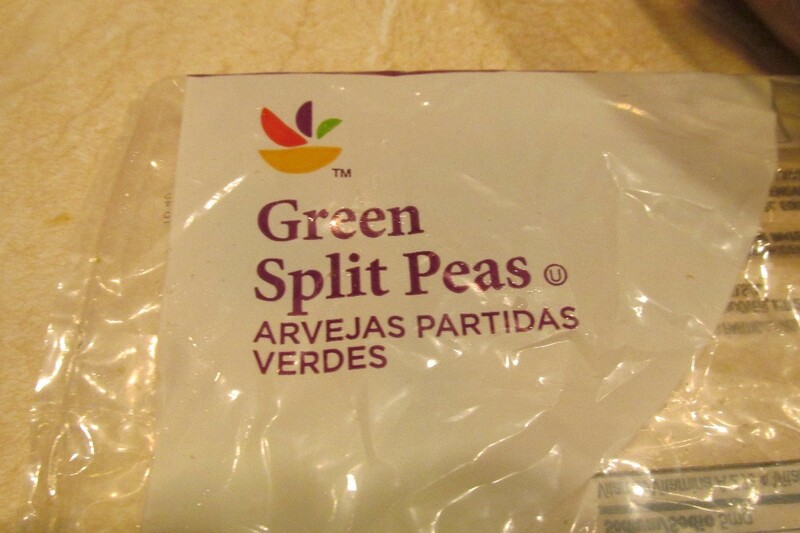 This will be a nice thick and meaty Green Split Pea Soup!